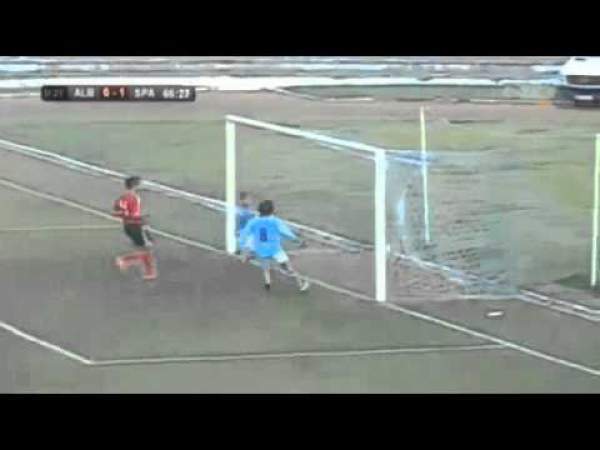 It is Albania hosting Spain in Shkoder for their game. Albania is top of the table with six points from two matches, two points above Spain who have four points from two games as well. Spain is above on goal difference from Italy. Both teams would be looking forward to a win in this game as they would want to get as many points as they can. 10th October 2016 at 00:15 (IST). Albania are top of the table in their group as they have six points from two wins, scoring four and conceding one goal. They played their first game in the pool stage against Macedonia and won it by 2-1. After that, they played their second game of the group stage against Liechtenstein and won the game by 0-2. It was played at the Rheinpark Stadion in Vaduz. Peter Jehle scored an own goal in the 11th minute to give Albania the lead and then in the 71st minute Bekim Balaj scored and made it 0-2 for Albania. Albania maintained 66% possession, had 19 shots on goal out of which six went right. Liechtenstein had 33% possession, had five shots on goal out of which none were on target. Spain is second on the table with four points from two matches, winning one and drawing the other, scoring nine goals and conceding one in total. Spain played their first game in the group stages against Liechtenstein and won it by 8-0. After that, they went to Italy on the second match day and drew the game by 1-1. The game was played at the Juventus Stadium in Torino. Vitolo scored the opening goal in the 55th minute to take the lead and after that Daniele De Rossi scored a penalty in the 82nd minute to make it 1-1, and the match ended there. Berisha, Hysaj, Mavraj, Aliji, Djimsiti, Hyka, Abrashi, Roshi, Kukeli, Llullaku, Balaj. De Gea, Ramos, Pique, Carvajal, Alba, Koke, Iniesta, Busquets, Silva, Costa, Vitolo. Both teams are in good form, and anything can happen here.